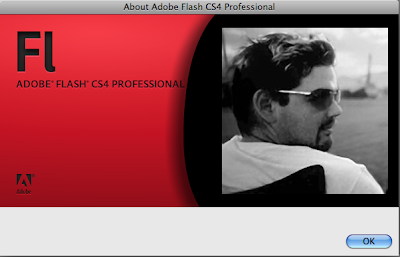 Keeping up with the easter egg 'tradition', Flash CS4 Professional includes the usual easter egg - a slideshow of all engineers who worked on the Flash authoring and player teams. M Williams passed away a lil while ago. 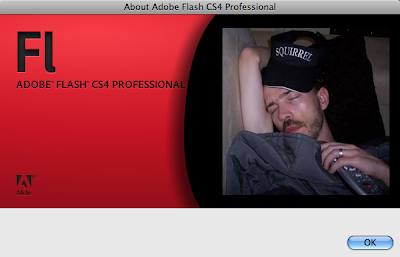 This picture will carry his memories as long as Flash CS4 lives! I decided to stop at 2 screenshots, but this pic of Sean is too funny to let go! 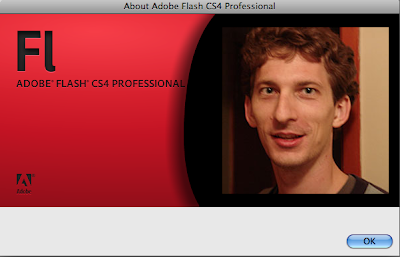 Ok, I can't contain any longer, time to go try out the new features! So sorry for M Williams.